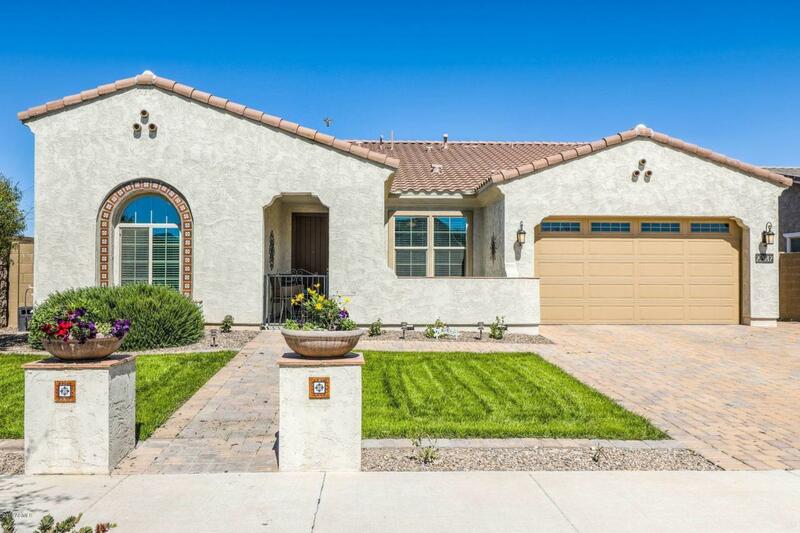 Beautiful & Stylish 3 bedroom + den/office, 2.5 bath w/ 3 car extended garage on a corner lot. Entry features paver drive & walkway leading to large front courtyard. 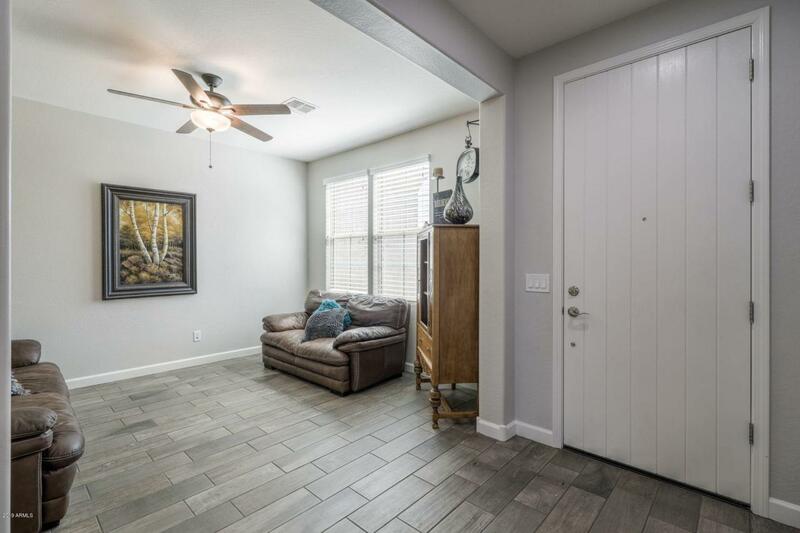 The home boasts upgraded wood finish plank tile throughout except bedrooms and near new 2-tone paint. Gourmet kitchen upgrades include white maple Shaker cabinetry w/ crown molding, granite counters, oversized island & breakfast bar, herringbone style tile backsplash, double oven, gas cooktop & walk-in pantry. A true open concept & split floor plan flows from room to room. Master features sitting area & en-suite bath. A backyard great for entertaining complete w/ large brick lined extended patio, fruit trees & lush green grass. 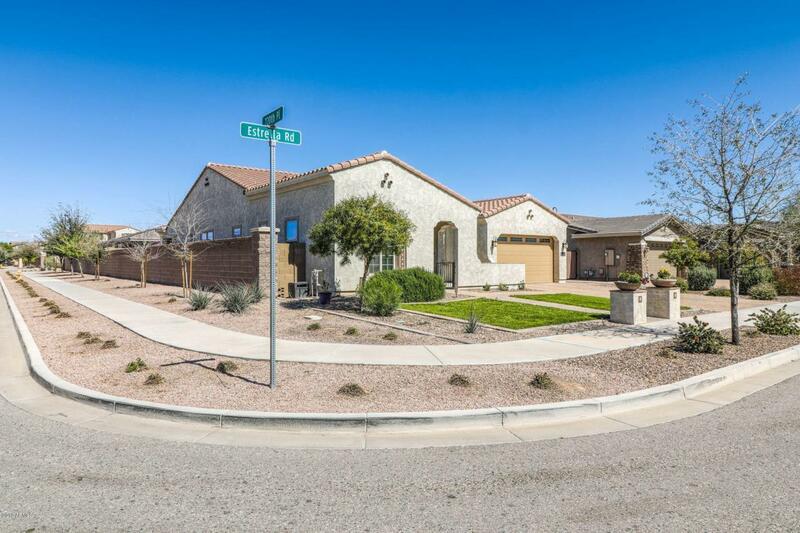 Minutes to San Tan Village shopping, dining & entertainment this home is a must see! Call today.